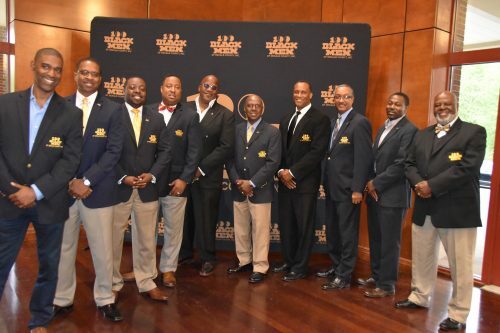 The mission of the 100 Black Men of Dekalb is to improve the quality of life in our communities and enhance education and economic opportunities for the all African-Americans. The Leadership Academy, the flagship community program, was conceptualized in 1991 to target young African American boys who are the target group in the community and at risk. The Chapter Board of Directors empowered the President-Elect to proceed in establishing a leadership program through the DeKalb Public School System. Working with the Chapter’s Education Committee and the DeKalb School System these men began the program in three schools: Snapfinger, Wadsworth and Knollwood Elementary Schools. Dr. Andrew H. Griffin, Jr., Ed.D. Dr. Romeo Stockett, PhD., President of the 100 Black Men of DeKalb County Chapter, is a native of Washington, D.C. where he left to start his career in the United State Air Force (USAF) at the age of 17. After 30 years of distinguished enlisted and commissioned service, he retired as an officer. He takes great pride when encouraging young people with the example of his journey from “GED to PhD” and taking advantage of educational opportunities, while raising eight children and serving his Country. He received an undergraduate degree from the University of Nebraska and an advanced degree from the University of Oklahoma while serving in the USAF White House Fellows program. During his distinguished military service, Dr. Stockett honed his mentoring and leadership skills serving at the highest enlisted rank and then as an officer commanding organizations, retiring as the Professor of Aerospace Science (ROTC) at Saint Joseph’s University, Temple, University of Pennsylvania, Drexel, Villanova and Thomas Jefferson in Philadelphia.In retirement, Dr. Stockett has focused his professional ventures in health care administration, health Informatics and research. He has served at every level of public health—local, rural, state and federal. He has directed health centers, county school health programs, consulted at Grady Hospital, completed a CDC post-doctorial Informatics Fellowship and served as Director of the State Office of Vital Records. He has taught as an adjunct professor at Morehouse School of Medicine Masters Public Health program, where he was distinguished as Outstanding Professor of the Year in 2008. In private practice, Dr. Stockett has consulted in health Informatics solutions for government and private health agencies, owned a Home-Hospice care company and dedicated much of his personal time to health, fitness, awareness and research. He is a published author on mentoring and men’s mental health. He and his family have a health ministry serving in barbershops, schools and community events. Currently, he represents the 100 Black Men of America on the Center for African American Men’s Health Through Partnerships (CHAAMPS) at the Universities of Minnesota and Alabama at Birmingham. In this program, Dr. Stockett serves on research teams in all matters of health affecting Black Men. Currently he is researching in Hepatitis C, Heart Disease, HIV and Youth Violence. 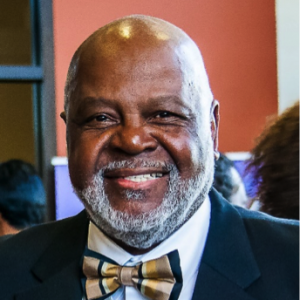 Dr. Stockett joined the 100 Black Men of America (BMOA) 11 years ago as an avenue to maximize his commitment to youth development and the health of our communities. Serving as Education Chair, Board Member and Vice Chair of the National Health and Wellness Committee, Dr. Stockett has been distinguished as the first recipient of the 100 BMOA National Mentor of the Year 2009, the Dr. James Black award for Outstanding Achievements in Health Research and his Outstanding Health and Fitness Tennis program by the USTA. Dr. Stockett believes that by exemplifying the 100 Black Men mottos of “Real Men, Giving Real Time” and “What They See, Is What They’ll Be”, we make a profound positive impact on youth, families and communities. He also believes “there is no such thing as a “bad child””, so the more positive attitudes, behaviors, values and service we show them, it far outweighs the negatives to which they are exposed. He further espouses that, “there is no such thing as a failed school, only failed communities” and that the education and development of our youth is a collective responsibility–family, community, government and education. When each rise to their role and responsibility, only then are positive educational outcomes assured. Dr. Stockett is married to Rochelle, his business partner, lives in Stone Mountain, Georgia and takes great pride in his 8 children, 19 Grandchildren and 7 Great-Grands.